…who wants to leverage his skills, expertise and international experience to collaborate within teams and across networks to address today’s interdisciplinary challenges in urban environments and find socially, environmentally and economically sustainable solutions for urban mobility, infrastructure and development. Cities have the capability of providing something for everybody, only because, and only when, they are created by everybody. Applying a flexible and adaptive skillset to today's biggest challenges. What is most attractive, what attracts people to stop and linger and look, will invariably be other people. Activity in human life is the greatest attraction in cities. Working on making our cities smart, liveable and sustainable for everyone. Check out what I am doing and what I've done so far. Andreas fulfilled all tasks to our greatest satisfaction. He showed a high degree of self-initiative and outstanding commitment in his work. Even in challenging and difficult projects, Andreas fulfilled his tasks in a reliable and systematic way and thus delivered clearly above-average results. Andreas displayed professionalism and an extremely good work ethic. In order to perform his tasks, Andreas required a unique skill related to data analysis as well as significant technical system knowledge and a clear understanding of the requirements. He was respected and liked by his team members. I believe Andreas would add value to any company. Andreas has an outstanding ability to work autonomously and under pressure. He possesses excellent analytical skills and is able to pick up problems immediately. In dealing with our clients, he proved to be extremely quality- and service-oriented. He was also favoured by colleagues and superiors for his upright personality and strong team spirit. We would especially like to recommend Andreas’ entrepreneurial spirit and achievement-oriented approach as well as his personal style of leadership. 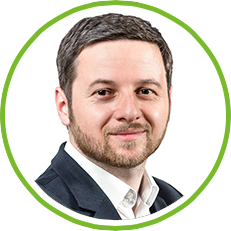 Andreas has very strong analytic and research skills, a deep industry know-how in renewable energy and life sciences, vast experience in business valuations and very advanced Excel skills. I have come to know Andreas as an exceptionally smart and highly motivated colleague. His expertise is definitely beyond question and on top of that he has always been a first class team player. Andreas’ main strengths are his extremely strong analytical skills, his surpassing level of accuracy, a very entrepreneurial way of thinking and his extremely wide range of interests. Never before I had met a person, working on such a high level of precision, while keeping efficiency high at the same time. His generally broad range of interest as well as his specialized knowledge in financial and sustainability issues make conversations with Andreas a very enriching and inspiring experience. We got to know Andreas as a very committed and motivated employee. He pursued his tasks to our greatest content and convinced us with his quick perception, his strong analytical skills and his autonomous work-style. Andreas showed great commitment and was liked by his colleagues and superiors due to his strong team spirit. Andreas impressed with profound expertise as well as with preeminent analytical skills that enabled him to quickly find and implement problem-oriented solutions. He worked autonomously and in a highly skilled manner internally as well as externally with our business partners. Andreas always solved complex problems in an independent, quick and reliable way. Due to his open-minded nature and his team-oriented working style we greatly enjoyed working together with him. Always looking for thought leadership and engaging discussions. The right to the city is far more than the individual liberty to access urban resources: it is a right to change ourselves by changing the city. I'd really love to hear from you! I appreciate your feedback, exchange of ideas and other messages through the following contact form or by e-mail. Thank you! An advanced city is not one where even the poor use cars, but rather one where even the rich use public transport.